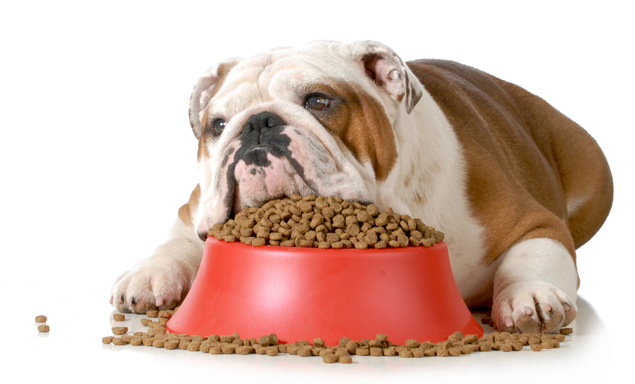 A lacking appetite is one of the most common problems I run into among dog and cat owners. It’s a very confusing and concerning issue, and people have spent thousands of dollars trying out new foods or medicines to make their pet eat. In this post, I’d like to provide you with a list of appetite stimulants that should get your best friend eating again. Heating your pet’s food will enhance the flavors and smells, making it that much more enticing. This method works especially well with canned and dehydrated food. Just stick it in the microwave for fifteen seconds and you should be good to go. The body craves food that it has worked for. Nothing makes a boring old PBJ taste better than a long, uphill hike through the heat. A long walk before mealtime can make your dog’s regular old kibble seem very tempting. If your cat is playing consistently throughout the day, she is much more likely to eat what you put down. Raw goat’s milk is packed full of natural probiotics, proteins and other nutrients that make it ideal for healthy weight gain. Its small fat molecules make it very easily digestible, perfect for dogs and cats suffering from malnutrition. Just pour it over their regular food, or serve it plain. With its strong odor and distinctive taste, a good chicken or beef broth will serve the same purpose as heating up the food, just making the kibble a bit harder to resist. This one does work with kibble a bit better than the heating method, as you can just stir it in to add some good texture. Ginger, mint, pumpkin, and cranberry will all greatly improve your pet’s digestion, which will make them more eager to eat. As they are better able to absorb nutrients and pass waste, their bodies will once again settle into a regular eating cycle. These aren’t the only appetite enhancers by any means. If you try them all and they don’t work, please don’t worry. Email me at eric.nault@longdogfatcat.com if you have any questions or concerns, and keep this in mind: all dogs and cats are different, yes, but they are also similar. Chances are, if you are experiencing a problem, someone else has before too, and we can certainly help you find the solution. Again, don’t hesitate to shoot me an email, or feel free to call the store. We’d be more than happy to help you.